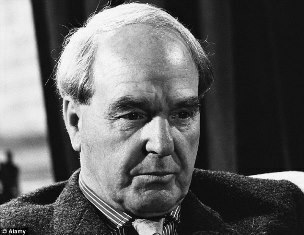 Henry Moore was one of the most prominent British artists of the 20th Century. Known primarily for his monumental public sculptures, his works can be seen across the world in significant locations such as the UNESCO building in Paris, and at the University of Chicago on the site of the first self-sustaining nuclear chain reaction. Moore was born in a small mining town in Yorkshire, and from a young age he showed an interest in wood carving and sculpting. After serving in World War I, Moore returned to his art studies in the 1920s, gaining a scholarship to the Royal College of Art in London. Moore emerged as a leading avant-garde artist in the 1930s when he took part in the 1936 International Surrealist Exhibition in London, but it wasn't until the 1948 Venice Bienniale, when Moore was awarded the International Prize for Sculpture, that he became an established figure in the art world. This success led to many major public art commissions throughout the 1950s and 60s, and his sculptures can still be seen in parks and cities around the world. By the end of his career, Moore was one of the most successful living British artists at auction. His commercial success meant that many of his sculptures were realized in two or three sizes in limited editions. Large collections of his work can be found at Tate Britain in London and at the Art Gallery of Ontario, Toronto, as well as at his home in Perry Green, Hertfordshire. Moore passed away at his home in 1986; his legacy continues through the charity he founded, the Henry Moore Foundation, which supports the promotion and study of sculpture in the United Kingdom.